The National Fire Protection Association is the nation’s governing body when it comes to standards set for chimney inspections. The NFPA outlines three levels of chimney inspection, depending on what circumstances are occurring that have triggered the inspection. In general, the greater the number level of inspection the more detailed the inspection will be. 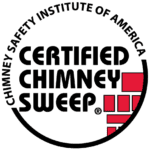 A Certified Chimney Sweep like Chicago’s best sweep, Valley Chimney Sweep & Restoration Services should be able to handle each level. With a Level I inspection, you’ll receive an inspection of all the readily available portions of the interior and exterior of your chimney or venting system. One of our certified technicians will ensure the basic soundness of the structure and flue, along with basic appliance connections. The technician also will ensure the chimney is free of obstruction and combustible deposits. If not, a cleaning will be in order to ensure continued safe usage. A level II inspection is designed to check your chimney after any changes have occurred to your system. This is a very in-depth inspection and should be used if you are buying or selling a home or if any serious weather event has occurred like a tornado or hurricane. This inspection builds off of the first inspection and adds inspections of the attic, basements, and crawl spaces. It checks for combustibles in all of these locations. A Level III Chimney Inspection is usually required when the construction of the chimney is necessary for the continued or renewed use of the chimney due to potentially unseen defects. The Level 3 inspection could include opening or removing an interior wall to access hidden parts of the chimney. This level of inspection normally occurs when a more serious problem has been identified and a method of repair needs to be determined.